We were so very lucky to see the Sun between the clouds at the get go as were 3 public bystanders. One long stringy (35 Earth Diameters!) 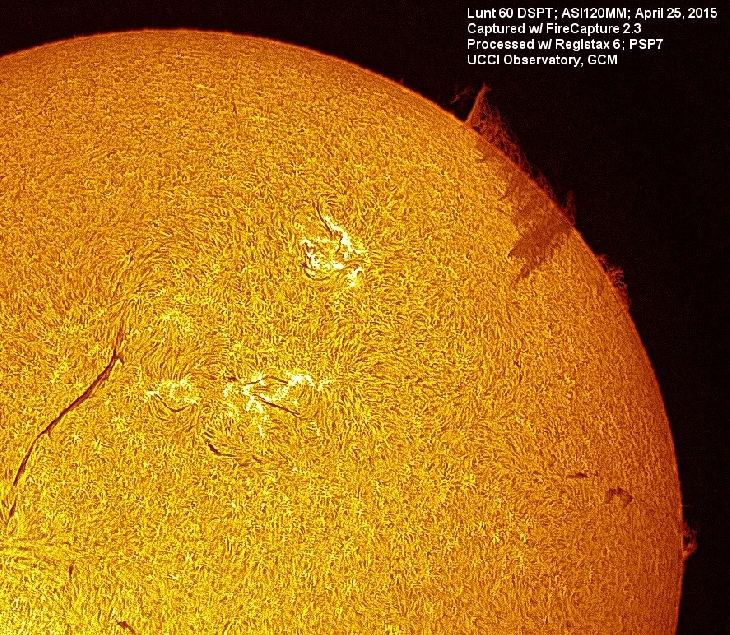 C-Class H-Alpha flare was seen stringing out from the solar disc from AR-2324. 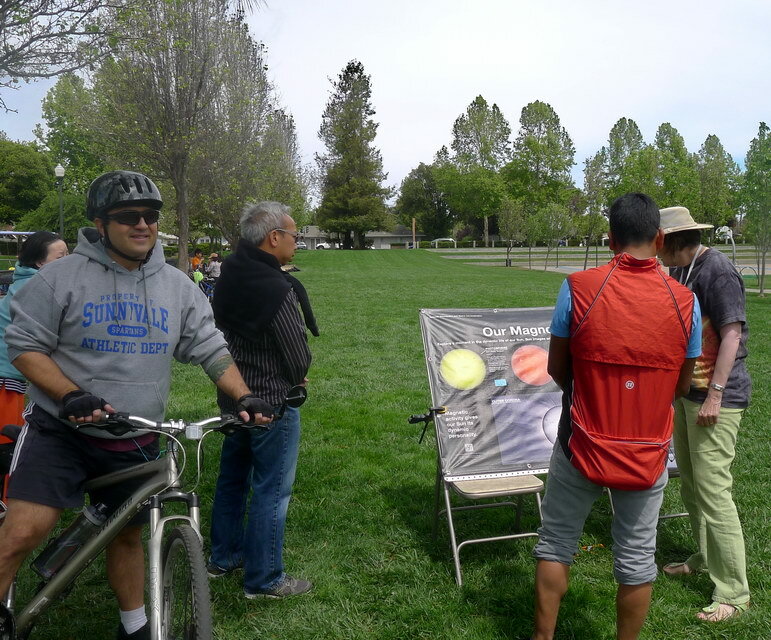 We Stayed until 3PM sharing views with about 60 people walking or biking the Los Gatos Creek Trail. Happy Astronomy Day, stellar cheers and enjoy the below pics. C-Class Flare Observed. 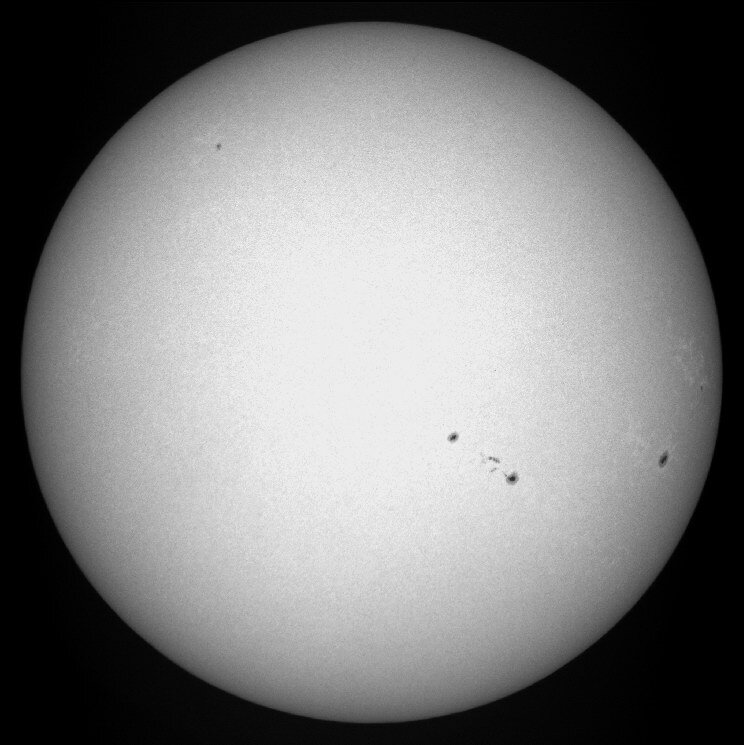 This Gif was taken a day earlier so flare is just inside the solar disc. 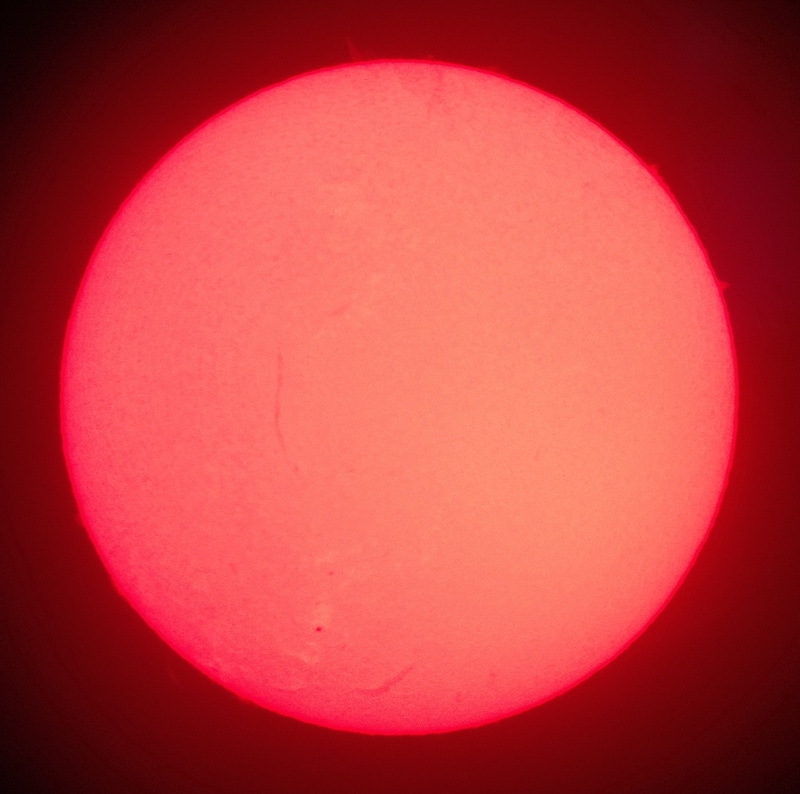 Entire Solar Disc in H-Alpha, note Prominences and Filaments. Credit Wolf W.